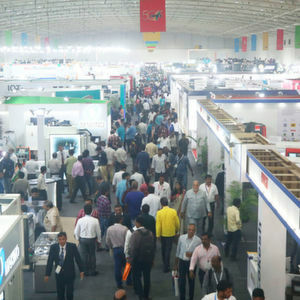 South East Asia’s biggest exhibition for machine tools – IMTEX was recently held in Bengaluru, India. 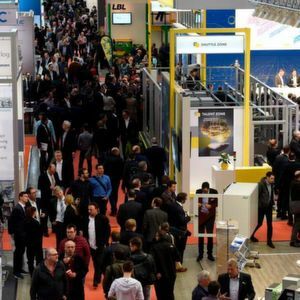 MM International visited the show and picked up six of the most impressive technologies showcased at the trade fair. Jyoti CNC Automation presented the 7th Sense, an Industry 4.0 machine capable of performing mundane and repeat tasks independently allowing humans to focus on the outcomes of these operations. The company states that the machine is the next generation’s Industry 4.0 tool that redefines the conventional PPC model to Plan, Produce &Complete. The machine combines the sets of features such as productivity, machine health monitoring & tool life management which helps in processing the most sophisticated operations in the industry. With features like a virtual machine screen that displays an updated status of the process, intelligent navigation to reduce errors, and various smart reports that gives smart analysis of the processes and outcomes, leaving little for interpretation by humans. Renishaw’slatest AM system – the new multi-laser RenAM 500Q increases productivity in the most commonly used machine platform size. Equipped with four high-power 500 W lasers, each laser is capable of accessing the whole powder bed surface simultaneously. RenAM 500Q achieves significantly higher build rates, vastly improving productivity and lowering cost per part. The multi-laser AM system features automated powder and waste handling systems that enable consistent process quality, reduce operator intervention time and ensure high standards of system safety. With a deposition rate of up to 150 cubic cm per hour, the system significantly improves productivity. High Dynamic Turning, or HDT, from Ceratizit has turned conventional turning methods completely upside down. This new turning technology combined with the dynamic Free Turn tooling, means that in the future it will be possible to carry out all traditional turning operations such as roughing, finishing, contour turning, face turning and longitudinal turning with just one tool. HDT is therefore a completely uncompromising method of turning. The solution offers 360° of freedom, 200 % of higher productivity, 100 % less tool changes, 90 % less free travel, 66 % tool savings, and 40 % higher feed rates. It is also capable of offering variable approach angles. The angle can be changed during the machining process and feed rates can also be optimally adapted. Ideal for ferrous castings, Grind Master’s Robofinish fettling machine increases productivity, quality and saves time. The Robofinish RCF series is an ideal and economic machine for fettling operations including riser and gate cutting, parting line grinding, deburring of sharp edges, milling inaccessible areas and breaking of holes. Robofinish RCF addresses specific problems of the foundry industry like unhealthy working conditions, heavy components and stock removals, complex shapes, variation in components by selection of right processes, tools and specially developed software. Quick change fixtures makes the machine suitable for a wide range components such as motor housing, differential housing, hydraulic housing, pump housing, flywheel housing, engine and transmission housing / covers manufactured in large volumes.